The Heralds of Spring project has been extended for another season. 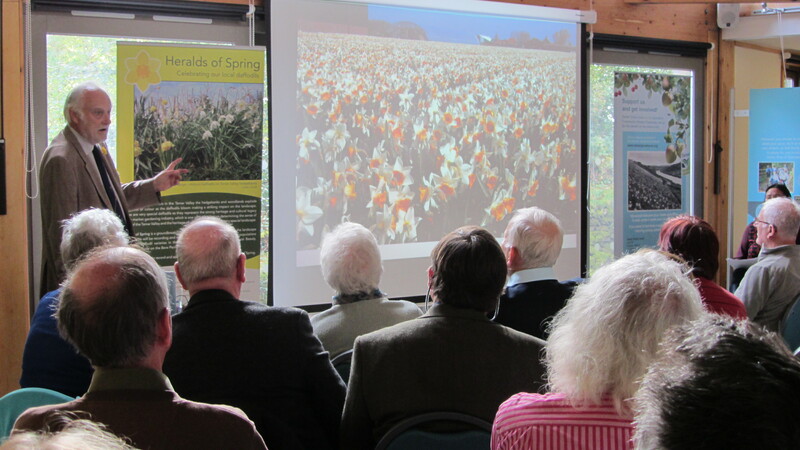 Heralds of Spring was initially funded by the Heritage Lottery Fund Sharing Heritage programme and the Tamar Valley AONB, and delivered by Tamar Grow Local. We are delighted that Tamar TLC has agreed to support the project from this point on and enable further training and surveys to take place this year. 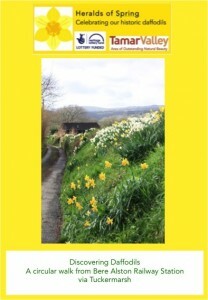 Look out for news about events and opportunities to get involved in recording and celebrating the wonderful daffodil heritage of the Tamar Valley. During the spring, Tamar Valley hedgebanks and woodlands explode into a riot of colour, as daffodils bloom, making a striking impact on the landscape. 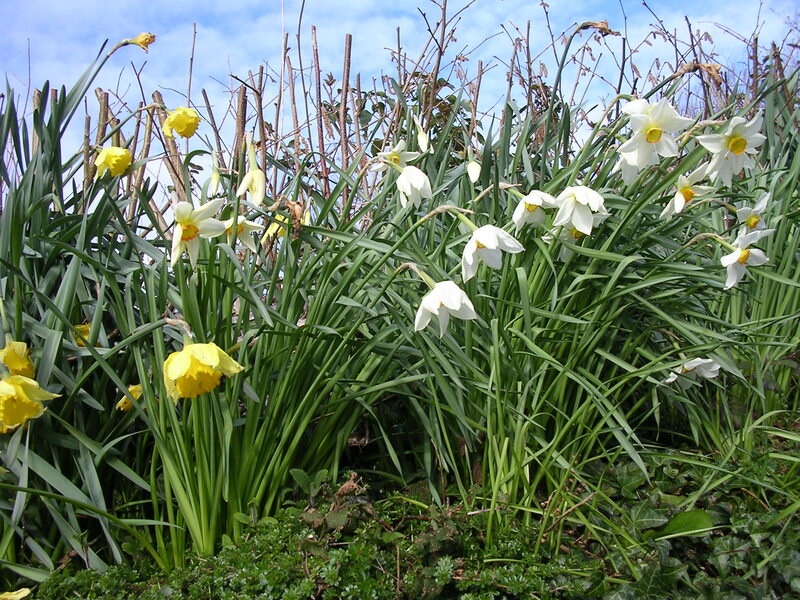 These are very special daffodils, representing the strong heritage and cultural legacy of the market gardening industry, one of the key factors determining the Tamar Valley’s sense of place and the heritage of communities within this nationally protected landscape. 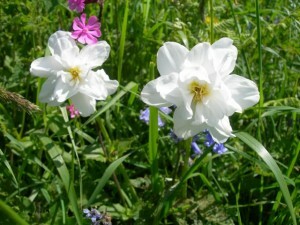 Heralds of Spring is a groundbreaking Heritage Lottery funded ‘collection in the landscape’ project. 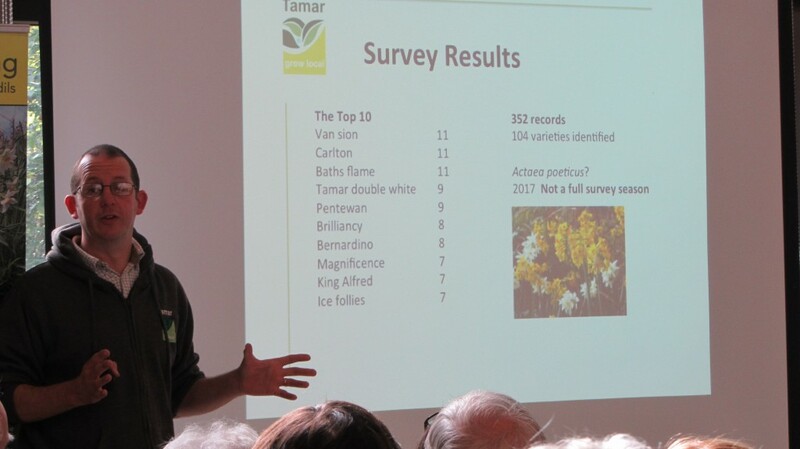 During Spring 2017 we recorded and increased awareness of the important populations of historic daffodil varieties in the Tamar Valley Area of Outstanding Natural Beauty, particularly those on the Bere Peninsula. All of our survey data has now been uploaded and will be available on the website soon. 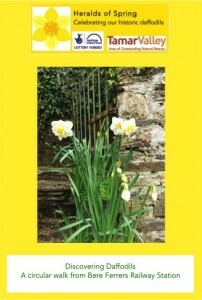 Oral history recordings have captured the wealth of knowledge regarding particular daffodil varieties in the Tamar Valley AONB. 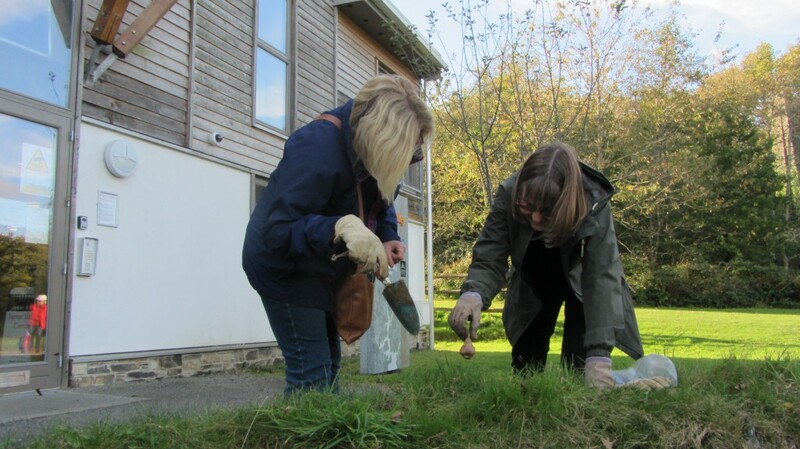 Groups across and beyond the Tamar Valley AONB have been busy planting bulbs of our wonderful daffodil varieties to spread awareness and safeguard the heritage of our ‘Heralds of Spring’. 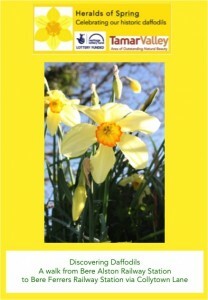 Handy Historic Daffodil ID quick guide to commonly seen historic daffodil varieties in the Tamar Valley. Check this page regularly for updates, results from the surveys, plus details of the 2018 surveying season. Alternatively, sign up to receive free monthly ebulletins (right hand side of our home page). 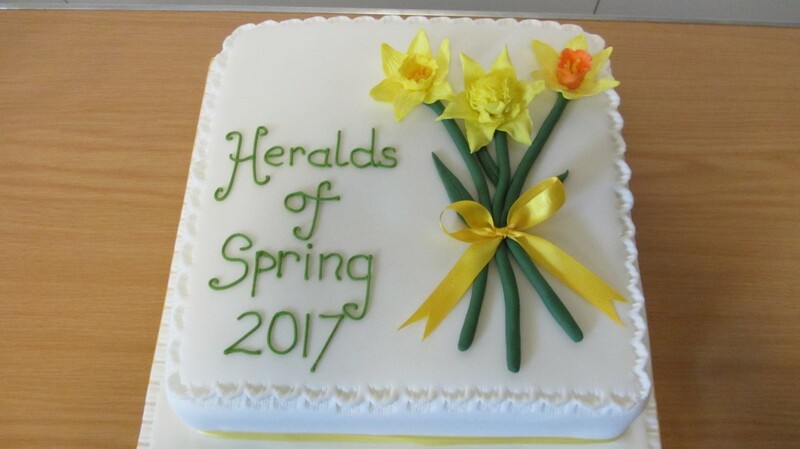 Heralds of Spring was initially funded by the Heritage Lottery Fund – Sharing Heritage programme and the Tamar Valley AONB, and is supported by a steering group of local organisations, community groups and individuals. 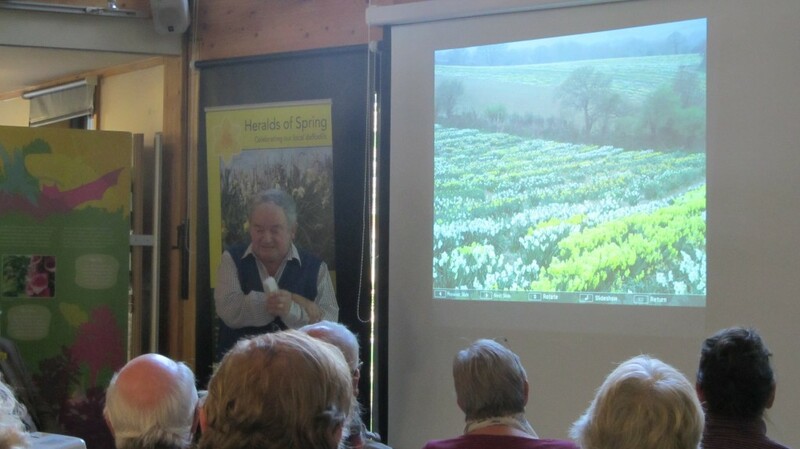 Thank you all for joining us at the Heralds of Spring Daffodil Conference on Thursday 5th October 2017 at the Tamar Valley Centre.